If a single event this past weekend came to typify the annual meeting of the G20 leaders in Buenos Aires, it would be that German Chancellor Angela Merkel’s plane developed a technical fault and had to turn back to Germany, forcing her late arrival at the conference. Truth be told, Merkel didn’t miss much, as the leaders of the 20 nations that together account for 85 per cent of the global economy struggled to reach agreements on major issues such as trade, migration and climate change in the Argentine capital. Given the trend away from internationalism and towards populist-driven nationalism, there was little room for the global leaders to find significant common ground at a summit dominated by a series of disagreements, such as between Washington and Moscow over recent developments in Ukraine and the incidents in the Sea of Azov, between Turkey and Saudi Arabia, and from a United Kingdom that is struggling to find a new role on the global stage once it leaves the European Union in a little under four months. At the best of times, the Group of 20 industrialised nations is an unwieldy one, and the trade dispute between Washington and Beijing has made matters worse. The Trump administration has imposed $200 billion (Dh734 billion) in tariffs on Chinese goods, and the dispute threatens to escalate, with significant ramifications for an already-slowing Chinese economy and global trade. In this regard, there was at least agreement between representatives from Washington and Beijing that there would be a 90-day moratorium on the imposition of tariffs between the world’s two largest economies. There was also an agreement that the G20 is committed to a rules-based international order in common dealings. While President Trump and Russian leader Vladimir Putin were both present, an official one-on-one between the two was cancelled by the White House over the actions of Russian naval forces of detaining Ukrainian crewmen from three vessels last week in the Russian controlled Kerch Strait. Tensions between Ukraine and Moscow remain at a critical level, with Kiev imposing martial law in 10 regions neighbouring Russia and banning Russian males from entering its territory, measures it says are necessary, fearing that a military engagement with Russia may be imminent. 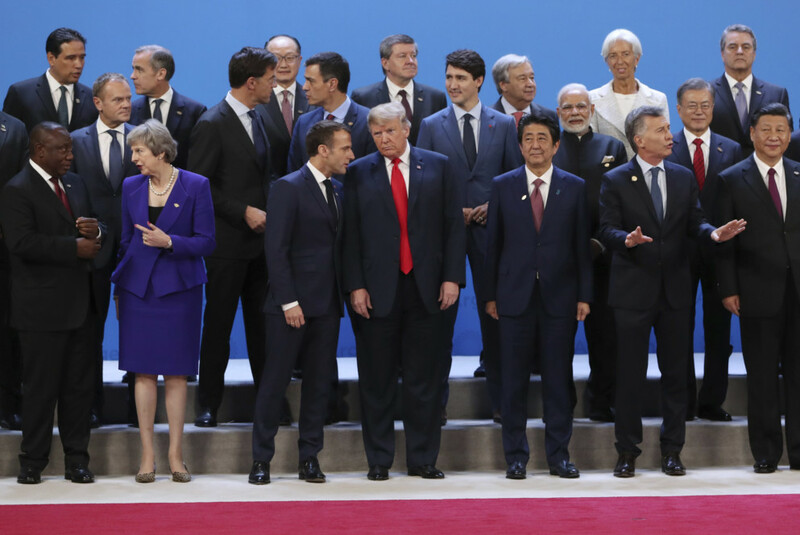 While Trump used the summit as an opportunity to formally sign the revised North America Free Trade Agreement with the leaders of Mexico and Canada, the reality of the G20 summit is that there is little appetite now for large-scale multilateral initiatives. The tango partners at the Buenos Aires summit were broadly out of step.